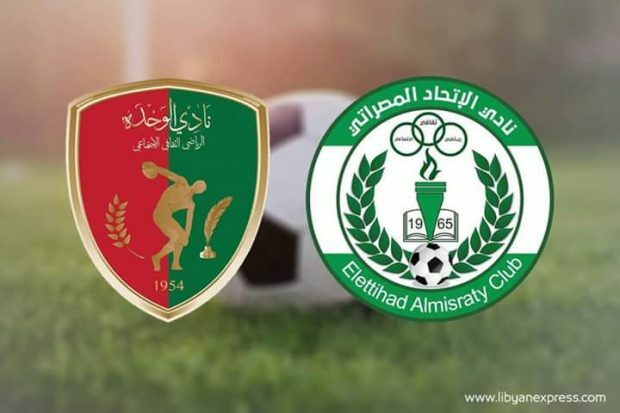 Al-wihada has drawn 1-1 with its host Al-Ittihad Misurata in a football match played at Tripoli International Stadium on Saturday. The match is the six of Group B of the Libyan Football Premier League. The striker Alaa Alghadar scored the first goal for Al-wihda from a penalty kick in the sixth minute of the first half, whereas Ayman Omair scored for Al-Ittihad in 82 minute from a penalty kick as well. Each team added a point to its result, Al-Ittihad with 6 points and Al-wihda with 8 points.